Do We Judge Others by Their Hair? When you see other people whatever colour they may be do you judge them by the way they wear their hair? Do you think a natural sister is trying to make a statement? Well is she? Or that someone with a bright red Rhinna style relaxed hair is trying to look white? Well is she? "Good hair means waves or curls, Bad hair means you look like a slave"
"Does the way I wear my hair make me a better person"
To quite honest I dont really think that much about my hair and really just want to get through the day without having to think about it too much about it. For me the ultimate low maintenance hair stye would be just to shave it off. I am a bit slow and behind the times and really not down with the kids as I actually hadn't heard this song before. It is a nice catchy tune and has a simple message. I am not my hair and how I wear it does not define who I really am. So dont judge me! I guess I just wanted to say that we all need to make our own decisions about how we wear our hair, how we are comfortable with our hair. How do you feel about a girl wearing a mini skirt getting unwanted attention from men, should she cover herself up? Isn't that the same as saying a black man with cornrows will attract attention from the police, shouldn't he just shave it off. Think about it. The whole argument reminded me of a case on 'Eli Stone' a smart prime time lawyery type drama on channel five. One of the main characters was representing a friend that was being sued by a young african american lawyer who he was not hired because he was black. This friend was also african american and had a problem with the fact that the younger lawyer had not conformed to white corporate america the way that he had had to. He mostly objected to his unkempt afro. Most people get from this that the younger lawyer shouldn't have to conform to fit into the older lawyers world. What I get from it is live and let live. The younger lawyer shouldn't judge this older man either as he had his reasons and experiences for who he was and is now and his decisions. Likewise the older lawyer needed to understand that this young man was an outstanding lawyer and the way he wore his hair shouldn't even feature and doesn't need to anymore. I suppose that is what prejudice is all about really, our individual experiences. 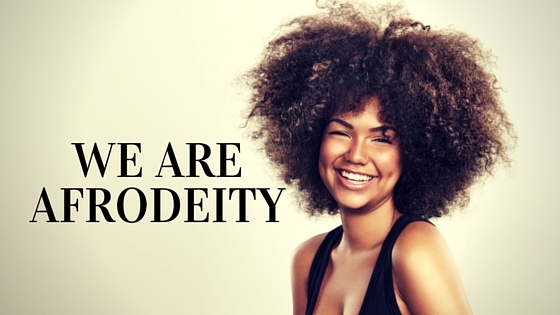 Obviously our individual preferences about how we wear our hair are affected by those experiences and do affect us deeply... more than we probably even realise! I was really excited to get some bentonite as I had heard great things about it. I have quite bad eczema so I wanted to apply this to my skin and hair. I had no idea how bizarre the use of this product would be. Bentonite Clay or 'healing clay' has the ability to absorb toxins, impurities, heavy metals and other internal contaminants. 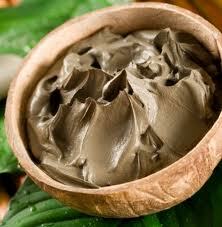 It is renowned as one of the most powerful and effective healing clays. It can be used internally or externally and has many varied benefits. 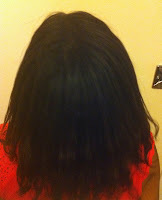 Cleanse and detoxify hair and skin with 100% natural bentonite. Reveal lustrous hair and revived skin, let nature take care of you. The instruction said to mix with water until you get a creamy paste and apply to skin and hair for 15 - 20 minutes. So I mixed a generous amount of paste and slobbered over my hair quickly. Now I suppose my first mistake was just globing it over my hair. It was really thick and after I had lathered over one side of my hair it seemed to stick together and kind of harden. So I would definitely part my hair in six before applying this next time. Once it was on my hair I decided to do the ironing while it was on my hair. After about 10 minutes I was just getting into the ironing groove when my husband walked in. It took a little while to explain why I had covered my hair and body in mud (... oh sorry volcanic ash) and was standing in the middle of our bedroom with mud (... i mean volcanic ash) all over my head, legs and arm, but thats a story for another day. I decided not to shampoo as I thought this would be counterproductive and I plan to to a protein deep condition in two days time so I thought I would shampoo then. My roots did feel really nice and my hair wasn't tangled even after having all that thick mess on it. A very messy process all in all. I did not get my lustros-o-meter out to check if there was much difference before and after but my hair did feel good afterwards. Just not sure about just washing the dirt (... I mean volcanic detoxifying ash) out with just water. My major problem was the mess in the bathroom after I was finished. All that mud and dirt just got everywhere and I will have to be more careful next time. We are all currently obsessed by natural products. I dont know about you, but I hate the way my bathroom smells of egg after I have used this raw ingredient to condition my hair. What was truly amazing was my hair the next day. After I finished washing my hair I did my usual leave in, Jane Carter Wrap and Roll and Revitalising Leave In and then air dried, then plaited in one ponytail when dry and went to bed. Nothing special, no blow drying or hot combing. 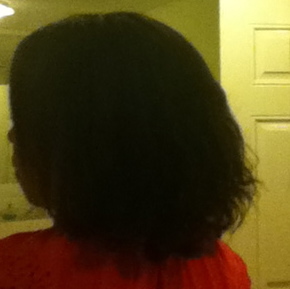 The next day after I let the plait out, I really noticed how straight my hair was and how thick and full it look. I know it wasn't just the Jane Carter stuff as I have been using those for six weeks and my hair hadn't been this full and bouncy. To be quite honest I dont think my hair has ever been this bouncy. I really liked the way the fullness lasted all day. I didn't find much difference with my skin. The usual itching that night and the next day. Not sure if I have to persevere, but I cant say it worked very well on my skin. Definitely a keeper, I wanted to use this for its detox properties, but i also loved the way my hair felt the next day, I truly wasn't expecting all that bounce. Me Likey - 4 out of 5.